← Stop Killing Our Planet! 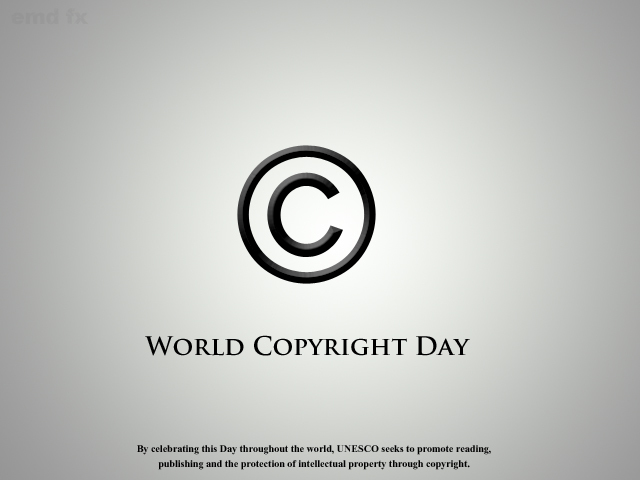 There are some who may ask….why would a designer care about World Book and Copyright day. My answer is simple. I was a writer long before I started designing, in fact designing could be described as an extension of that art. Design for me is telling a story using images instead of just words. Also, it is intellectual property and I do hold the belief that my artwork classifies as intellectual property. I should check to see the logistics behind that statement but that’s for another day. As it is I am going to celebrate this day by going to read a book from my favourite author. Robert. Ludlum.